Every Windows got its control Panel which contains a lot of system tools such as Administrative tools, Mail, Properties and Date and time and much more that enables you to make an important changes to your system, but if you are sharing your computer with some one, you may want him/her to not access a specific settings from the control panel, with this tutorial I will explain step by step how you can hide a specific control panel item in windows 10, follow the below steps to guarantee a successful result. 1. 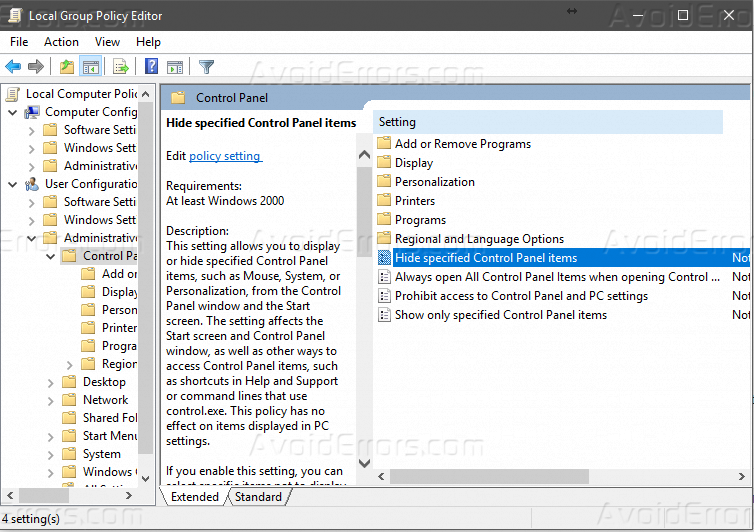 Open “Control Panel” by searching for it on the start menu. 2. This is the control panel all items, locate the items that you want to hide and remember its name. 3. 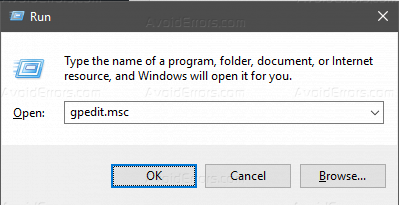 Press window key + R, and type “gpedite.msc”, and then hit Enter. 4. 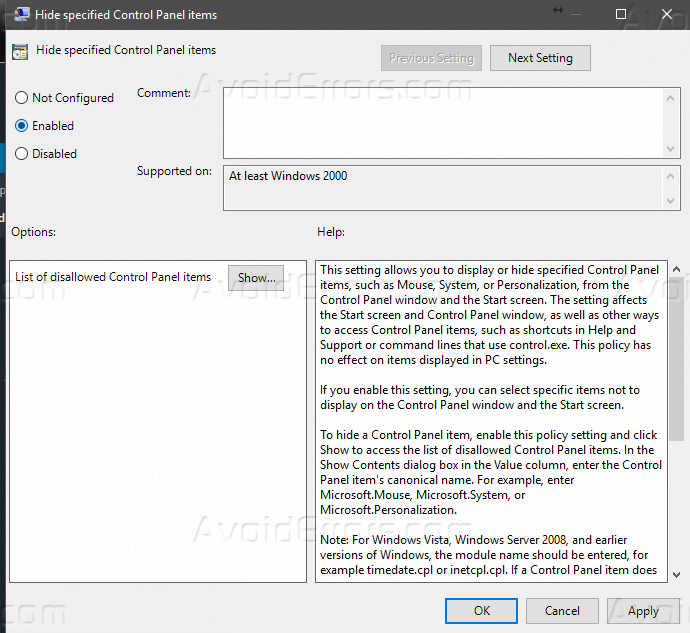 Expand “User Configuration -> Administrative Templates -> Control Panel”, and then do a double-click “Hide specified Control Panel” items in the right pane. 5. Click “Enable”, and then click on “Show” to add the items that you want to hide. 6. 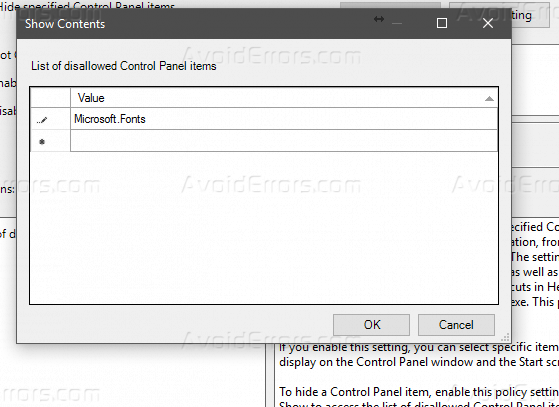 Enter the canonical name of the control panel item that you want to hide, for example, I will hide “Fonts”, it’s canonical name “Microsoft.Fonts”, and then click OK and “Fonts” icon is hidden after you reboot your computer. Here it’s a full list of Canonical name of all the control panel items.